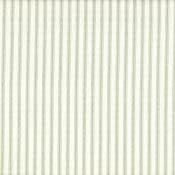 A perfect ticking stripe in pale seafoam green on a cream background. Reinforced button holes for 12 curtain rings. 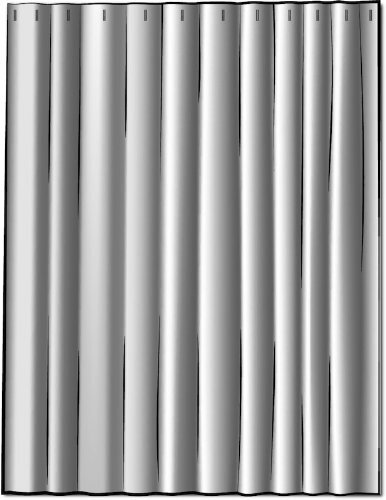 Total Size is 75" wide x 84" long. Curtain is 100% cotton. The lining fabric is an ivory cotton/polyester blend. Dry cleaning is recommended. 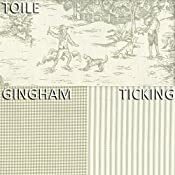 French Country Seafoam Ticking Stripe, Toile, Gingham Check. 75 inches wide x 84 inches long, Lined.